INDUSTRY.co.id - Jakarta, five large-scale palm oil companies receive subsidies from the BPTP Agency (Dana Pengelola Perkebunan Kelapa Sawit) with a total of Rp7.5 trillion during January-September 2017. 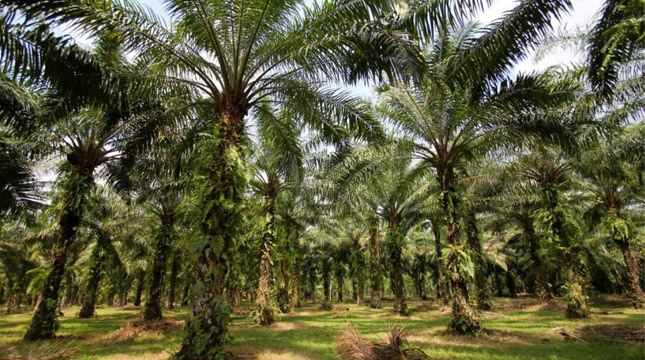 The five palm oil companies consist of Wilmar Group, Darmex Agro Group, Musim Mas, First Resources, and Louis Dreyfus Company (LDC). Based on the data obtained, Wilmar Group received the largest subsidy value of Rp4.16 trillion. In fact, the deposit given Wilmar Group only worth Rp1, 32 trillion. Based on Presidential Regulation No. 24 of 2016 on the Collection and Use of Oil Palm Plantation Funds signed by President Jokowi, regulated on the use of these funds. In Article 11 paragraph (1) it is stated that the funds collected are for the development of human resources; research and development of oil palm plantations; promotion of oil palm plantations; rejuvenation of plantation crops; as well as oil palm plantation infrastructure. While in paragraph (2) explained that the use of funds is also used for food needs, industry downstream and bio-diesel fuel use type. The next paragraph states BPDPKS can determine the priority of the use of funds under the government program and the Steering Committee's policies. Related to this, the study of palm oil owned by the Corruption Eradication Commission (KPK) in 2016 found that the use of excessive funds for biodiesel companies could lead to inequality in the development of oil palm plantation. The subsidy value for other palm oil companies is Darmex Agro Group (Rp915 billion) with a deposit of Rp27.58 billion; Mas Season (Rp1, 54 trillion) with a deposit of Rp1, 11 trillion; First Resources (Rp479 billion) with deposits of Rp86.95 billion; and LDC (Rp410 billion) of Rp100.30 billion. Thus there is a relatively large difference in value for the oil conglomerates. It consists of Rp2.84 trillion (Wilmar Group); Darmex (Rp887.64 billion); Mas Season (Rp421,56 billion); First Resources (Rp392.61 billion) and LDC (Rp309.83 billion). BPDPKS in 2015 said the largest use of funds is still allocated for biodiesel, which reached 89 percent. As for oil palm rejuvenation, human resource development is up to the management-plan each only one percent. BPDPKS itself was formed in the form of Public Service Board since June 11, 2015 under the control of the Ministry of Finance. The agency was established to support sustainable palm oil development programs.